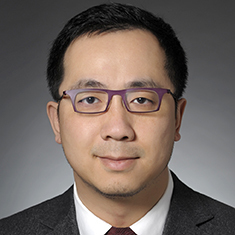 Rong Zhao advises investment managers, proprietary trading firms, institutional investors and other market participations in the financial services industry on transactional, corporate and regulatory matters. He is highly skilled in the organization and operation of hedge funds, funds of hedge funds, commodity pools, single-investor funds, private equity funds and joint ventures. Rong has particular experience counseling investment advisory firms, commodity pool operators, commodity trading advisors and proprietary trading firms. Rong is experienced in the preparation and negotiation of investment management agreements, managed account agreements, side letters, joint venture agreements, trading agreements, employment agreements and other fund-related, firm-related and/or investor-related documents. He also provides counsel with respect to matters of exemption, registration and compliance with Securities Act of 1933, Securities Exchange Act of 1934, Investment Advisers Act of 1940, Investment Company Act of 1940, Commodities Exchange Act and subsequent regulations. Shown below is a selection of Rong’s engagements.